Discover savings up to 85% with our dentists in Agua Prieta. Whatever your dental problem, you can find and book your quality-checked dental specialist online with Dental Departures, taking advantage of our guaranteed best prices. Although Agua Prieta isn’t a tourist destination in the same sense as other well-known Mexican locations, it has always been popular for Americans to visit as a shopping destination. More recently, US and Canadian visitors have been coming here for dental treatment, attracted by its convenient location and affordable prices. Agua Prieta is just across from Douglas, Arizona on the US-Mexico border. The nearest international airport is Tucson, Arizona, a little over 100 miles away. Major interstates and highways, including the I-10, US-191 and the AZ-80 make it an easily accessible and scenic road trip for patients wishing to drive. Originally settled by Chiricahua Apache Indians, it was founded toward the end of the 19th century when workers from the nearby mining companies moved in. With a population of around 80,000, Agua Prieta is one of the largest communities in Sonora. The principal economic activities are manufacturing, commerce and agriculture. As one of the two border crossings from Arizona to the Rio Sonora region, Agua Prieta is the gateway to myriad changing scenery. The Rio Sonora route winds its way through old Mexican towns, colonial architecture, scenic landscapes and other attractions, offering a fascinating glimpse of old Mexico. 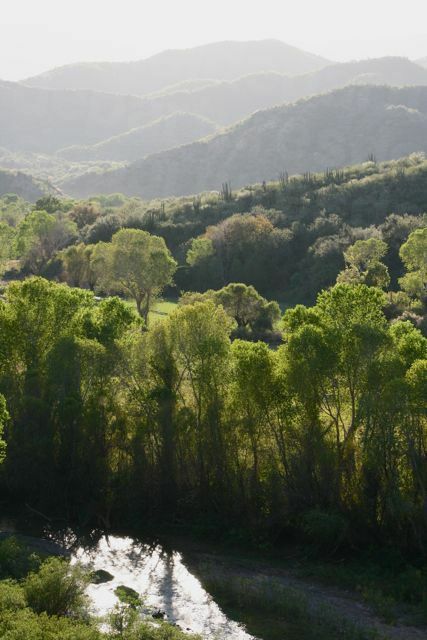 For dental patients wanting to explore the countryside before or after their treatment, Agua Prieta is a great place to start. 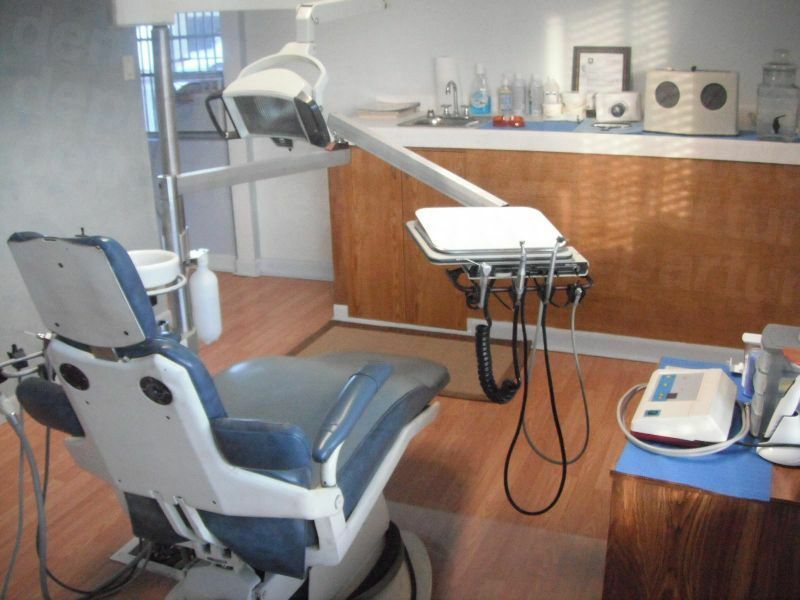 Why Visit a Dentist in Agua Prieta? Modern dental clinics in Mexico are far removed from the image of ill-qualified dentists working in unhygienic backstreet clinics with outdated equipment. In fact, the growth of medical and dental tourism throughout Mexico has seen an increase in modern, state-of-the-art facilities, equipped with the latest in technology and dentists who are as knowledgeable in their areas of expertise as any of their counterparts over the border. The dentists we work with in Agua Prieta are no exception: highly skilled and well-qualified. A quick check on our website will confirm Agua Prieta dentists who are members, amongst other things, of the American Dental Association, the American Prosthodontics Society and the International Congress of Oral Implantologists. Where to Stay in Agua Prieta? You will discover a variety of accommodation options in town, including reasonably priced hotels for less than $50 a night. Further accommodation choices are available in Douglas, on the US side of the border. From here you can drive or walk over the crossing where you can get a taxi to your dentist’s office or catch the free shuttle which some of our clinics provide. The gap between the reality and the perception of Mexico in relation to crime has been closing as visitor numbers for Mexico reached record levels. Mexico is still the number one foreign destination for US travelers, welcoming more than 35 million travelers in 2017. The reality is that while there are isolated pockets of problem areas affected by drug-related violence in Mexico there are still vast swathes of this enormous country that are no less safe to visit than anywhere else in the world. The border towns have had a particularly bad press, but the US travel advisory has issued no warnings for Agua Prieta. While this means that travelers to these areas are generally safe, you should still exercise common-sense precautions, as you should in any unfamiliar environment, to ensure you have a safe and enjoyable visit. For example, try to stick to the main roads; do not drive at night; be careful with your alcohol intake, etc. Providing you choose a good dentist then yes, the quality of your care will be just as good as you would receive at home. We must emphasize that it is important you find a qualified and trustworthy dentist as, unfortunately, there are good and bad dentists wherever you go in the world. Doing your research is the most important part of the process – and often the most difficult. At Dental Departures we have streamlined this process, having already pre-checked and vetted our dentists, visited the clinics and made certain for ourselves that standards are high. We consistently monitor feedback from our patients - and you can see their real reviews for yourself on our website – and pride ourselves on delivering an honest and reliable service that our patients can trust. Our clinics offer a high-quality service, delivered with the best tools-of-the-trade and high-grade materials, ensuring you will have a good experience, hopefully surpassing your expectations. All our clinics provide warranties on the work your dentist carries out, including any lab materials. You will want to check each clinic’s particular details: some offer long warranties of five years and more, above and beyond what your dentist at home might offer. Although you are assured of receiving treatment from a quality-checked dentist, very occasionally things may go awry as no-one can guarantee 100% the outcome of dental and medical procedures. In these circumstances, we will be on hand to help and would urge you to contact us in the first instance so that we can get the ball rolling and get your problem resolved as speedily as possible. Our dental clinics have dentists and staff who speak both English and Spanish, so you will have no communication problems. While knowing the odd foreign phrase always goes down well when visiting a foreign country, it is not necessary in order to get by in Agua Prieta. Many US residents visit regularly for shopping and so English is widely spoken and understood throughout the town. Most dental offices prefer US cash. However, many also accept debit/credit cards, personal and travelers' checks, but you will need to check with your preferred dental office. Please note that some credit card transactions may be subject to a handling fee of 3-4%. It is unlikely that your dentist in Agua Prieta will be able to bill your insurance company directly. However, your insurance company may reimburse you for your treatment costs when you have returned home. Check with your insurance company before you book an appointment to learn whether you are eligible for out-of-network costs. If you qualify, make sure to get the appropriate forms and documentation before you travel. Your dentist will provide assistance on how to fill in the forms after your treatment. When is the Best Time to Visit One of Our Dentists in Agua Prieta? The northern region of the state of Sonora is a desert environment featuring high plains and rustic scenery. As you would expect, the climate is dry and very hot throughout summer and the early autumn months. During the rest of the year, the weather is similar to its US neighbor, Arizona. The border crossing at Douglas-Agua Prieta is open 24 hours a day, but there are a lot of people who use it and so it gets busy at peak times. Also during holiday times and festivals, it gets busier so you will be just as well to check before you leave. If you are driving we recommend you have plenty of bottled water, in case of delays. Our dentists are open all year round and so you may visit at any time of the year that suits you. Is Agua Prieta Wheelchair Accessible? Throughout Mexico, wheelchair accessibility is a rather hit and miss affair. While newer hotels are wheelchair-friendly, getting around outside the hotels may not be so easy. Many sidewalks lack wheelchair accessible ramps and can be steep – if there are sidewalks at all. Some bars and restaurants may seem to be wheelchair friendly until you want to use the restroom – and you find steps or a doorway too narrow to fit a wheelchair through. If you have someone with you it should be easier to manage. Our best dental clinics are wheelchair-friendly and many provide pick-up or shuttle services from the border or your hotel. Let us know and we will do our best to get you along to see one of our dentists. Along with shoppers coming over from the US, the border crossing wait times to get back to the US side can be a couple of hours. Dental patients should be aware that gas sedation (nitrous oxide) is not offered as standard in Mexico, as it is in the US and Canada. It is offered as a specialist service by some clinics, but will need to book in advance by arrangement either with Dental Departures or your dental clinic. An anesthetist will need to be arranged to administer the sedation, with an additional charge of around $400-$600. Obviously, local anesthetic is available and offered as standard. For patients who require anxiety medication, such as Valium, you will need to pre-book this in advance as well, or pack your own stash. Agua Prieta is generally a safe town to visit, so long as you practice the rules of the travel road. What Else is There in and around Town? The Sonora desert landscape, historical landmarks, friendly people and warm sunshine all year round offer snowbirds traveling south to escape the weather a good reason to visit. The town is rich in Native American history and was the location of a famous battle in the early 1900s between Pancho Villa and the Mexican authorities. Nowadays it is famed for its shopping. Its craftsmen are skilled in leather goods such as saddles and boots – with many horse and cattlemen visiting for their high-quality goods at low prices. Mexican pottery, jewelry and blankets are also handcrafted here and are big draws. Outdoor activities include bird-watching, hiking, four-wheeling, or just relaxing by your hotel pool, offering plenty of options. Or if you're traveling by car, consider driving through miles of desert landscapes filled with saguaro cactus. For road trips, the Rio Sonora route down to Hermosillo and the Pan American Highway offers drives through stunning landscapes and historic towns and villages, with the nearby Fort Huachuca and the Old Buffalo Soldiers trail attracting thousands of visitors every year. What about Mexican Car Insurance? Your US insurance will not cover you for driving in Mexico and at least 3rd party insurance is now a requirement for driving in Mexico. You can arrange this online from as little as $10 a day. The nearest international airport is Tucson, Arizona, at 115 miles away. It is around a 2-hour drive on the I-10 and the AZ-80 or US-191 from there. 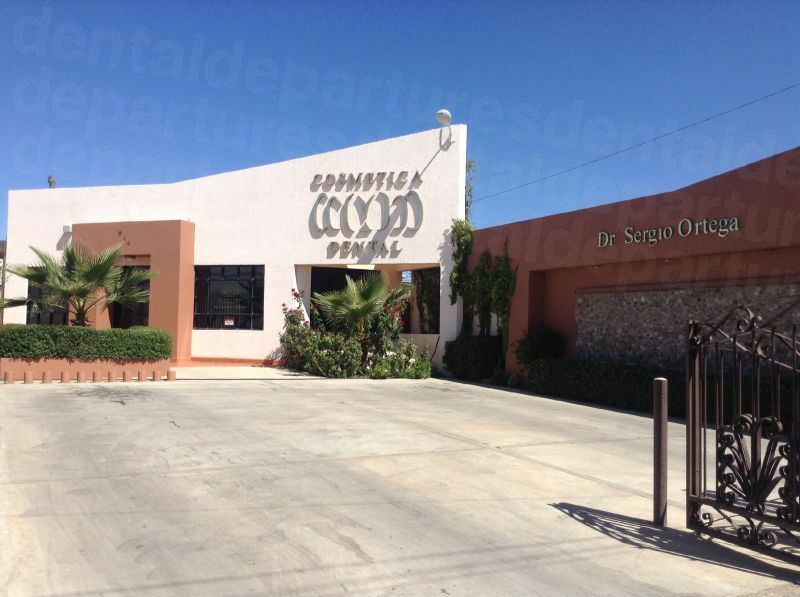 Book an appointment with Dental Departures online for your Agua Prieta dentist. Compare our prices, read real patient reviews, view clinic photos and discover our exclusive discounts. You can also phone our free phone number, send us an e-mail or talk to us via our online chat. We're always happy to hear from you - so get in touch and get your dental problems sorted today.